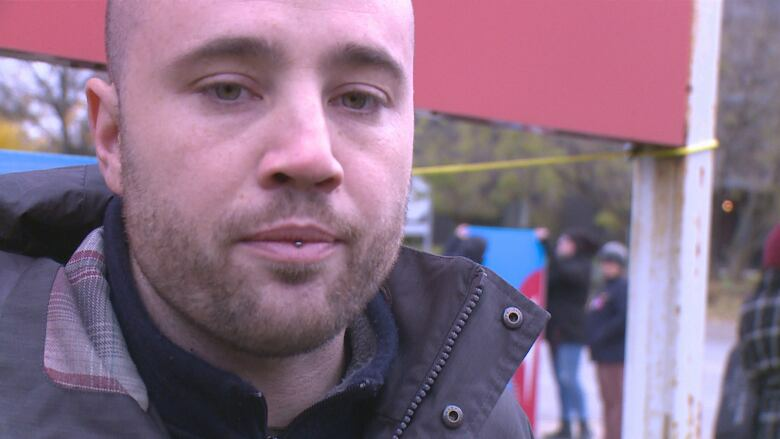 The Canada Post of the future was pitched during a rally by union groups for striking workers at the Tecumseh location on Thursday. Rotating strikes started across Canada on Oct. 22 with the Canadian Union of Postal Workers (CUPW) calling for increased wages and benefits in a new contract. Blue pamphlets with information on the Delivering Community Power campaign were made available at the rally, which explained where CUPW believes Canada Post needs to shift in the future. 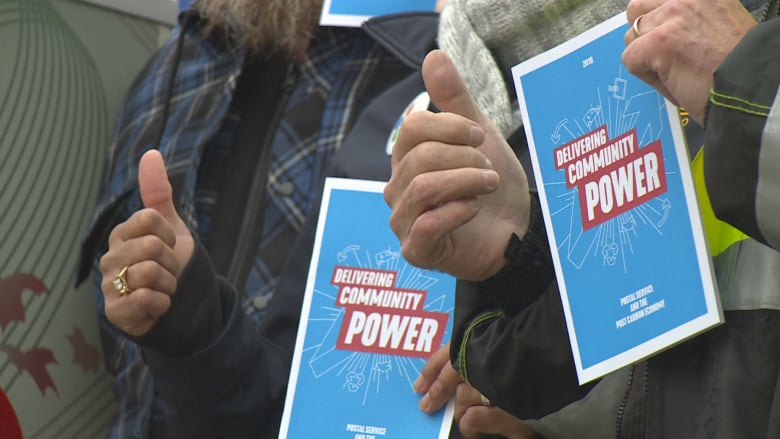 "It's about transforming post offices to tackle the biggest issues of our time: poverty, climate change and inequality," said James Hutt, coordinator of Delivering Community Power. The pamphlets provide an example of the reimagined post office, which would offer postal banking, green energy services and free community space. "Delivering Community Power is on the bargaining table," said Hutt, when asked where this fits in the future of Canada Post. "What we did is take the best ideas from around the world, what all the other sorts of communications or mail systems around the world were doing and think about how can our biggest and best public service really address the needs of Canadians in the best way possible." One example of a new service would include community supports, according to the pamphlet, which proposes having letter carriers check in on seniors during routes and connecting residents to public health and social services. Hutt said the green energy proposals like retrofits and energy efficiency work at post offices would be save money in the long run, and the expanded services could be covered by postal banking. "At the end of the day we know that if government stopped dragging its feet and brought in postal banking — it would bring in incredible amount of revenue that would cover all of this and then some," said Hutt. Postal banking is done in Japan, Italy and the United Kingdom, said Hutt, who believes it would be a great service to rural communities. "There's about 1,200 communities across the country that don't have any banks, they don't even have ATMs — but they do have a post office," said Hutt.